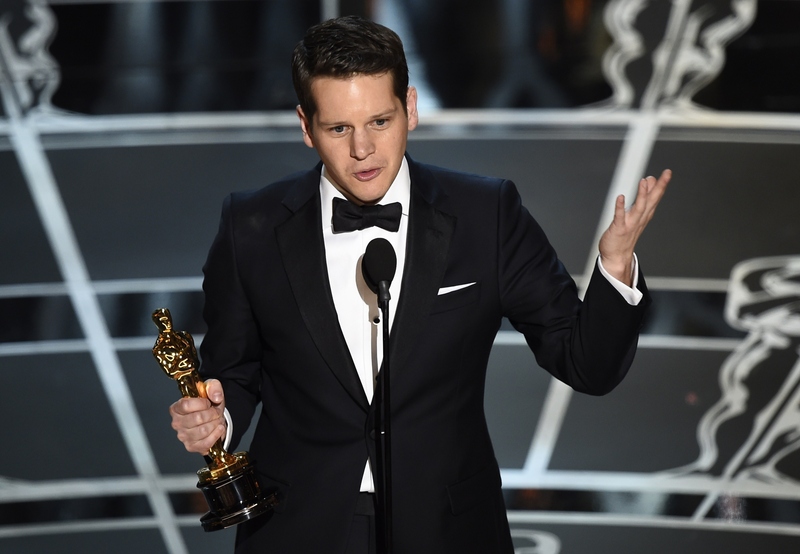 After winning Best Adapted Screenplay for The Imitation Game, Graham Moore gave a moving Oscars speech about staying weird. His words were an instant success, but most people also incorrectly assumed he was gay because his speech was about not fitting in, and he won for a movie about gay war hero Alan Turing. It turns out Graham Moore is not gay, but that doesn't make his speech any less important. Moore's moving words were misconstrued as being meant for the LGBT community, which was an easy assumption to make given the word choice and the fact that so many young gay people do suffer from depression and suicidal thoughts. His ties to the movie he won for also had people thinking on that wavelength, especially when Moore started out his speech by mentioning the late hero. Alan Turing never got to stand on a stage like this and look out at all of these disconcertingly attractive faces. And I do. And that’s the most unfair thing I think I’ve ever heard. In this brief time here, what I want to use it to do is to say this: When I was 16 years old, I tried to kill myself because I felt weird and I felt different and I felt like I did not belong. And now, I’m standing here and I would like for this moment to be for that kid out there who feels like she’s weird or she’s different or she doesn’t fit in anywhere: Yes, you do. I promise you do. You do. Stay weird, stay different. And then, when it’s your turn and you are standing on this stage, please pass the same message to the next person who comes along. But the real story behind his words give them even more meaning. He opened up about the speech to Buzzfeed after the Oscars. I'm not gay, but I’ve never talked publicly about depression before or any of that, and that was so much of what the movie was about, and it was one of the things that drew me to Alan Turing so much. I think we all feel like weirdos for different reasons. Alan had his share of them and I had my own, and that’s what always moved me so much about his story. The brilliant thing about Moore's speech, which he mostly made up on the spot, is that it's applicable to everyone. Someone struggling with their sexual identity can take solace in it, someone struggling with depression can draw inspiration from it, someone who just doesn't fit in can see that someday there will be a place for them if they stay true to themselves. And don't even get me started on how exciting it was to hear Moore use feminine pronouns to include their perspective. Moore may not be gay, but his message resonated with that community and with many others. And that's what a great speech does: it hits home for everyone, not just one particular group of people. No matter what Moore's sexual orientation is, one thing is for sure, he's a hell of a speaker and his words are important for everyone to remember.